Bay Area Schools Ignoring Title IX? The NBC Bay Area Investigative Unit uncovers some Bay Area schools overlooking an important federal law setup to protect students. A federal law set up to protect students from sexual harassment and abuse is being overlooked by some Bay Area schools. 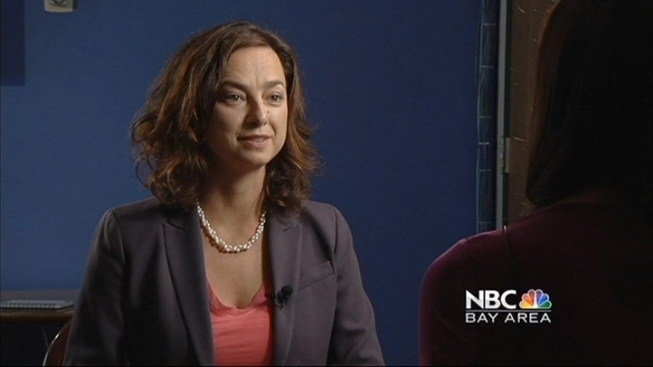 The NBC Bay Area Investigative Unit emailed more than 200 principals from school districts across the Bay Area, asking how to contact the Title IX coordinator, which is legally required. Less than half responded to our email within two weeks. Some said they did not know, had never heard of Title IX or didn’t understand what we were asking. Most others offered murky answers asking who the sender was or directing the email to a variety of district employees for more information. A handfull were able to identify an individual as a Title IX Coordinator. Title IX normally conjures up the image of women in athletics, but a lesser known part of the law mandates schools to have a system in place for sexual harassment and abuse victims to file complaints. It specifies schools must publicly publish the contact information of Title IX coordinator, so the staff member is easily accessible for students, parents and employees. “If something like this happens to your kid, your whole world kind of turns upside down,” a South Bay mother who wants to remain anonymous told NBC Bay Area. She said her 6-year-old was molested last year by an employee at a local after-school program. The alleged perpetrator is now being charged with 40 counts of molestation and going to trial next month. Even though the after school program was not required to have a Title IX coordinator, she said she now realizes the importance of parents knowing who to contact if they suspect suspicious behavior. Using a standard email address, the Investigative Unit emailed more than 200 principals in the Bay Area, asking how to contact the Title IX coordinator. Fewer than half of the principals wrote back. Of the ones who did respond, most did not know how to answer the question. “It’s not just embarrassing, it’s scary. For a parent, I’m afraid,” Terri Miller with the group Stop Educator Sexual Abuse, Misconduct and Exploitation told NBC Bay Area. S.E.S.A.M.E, run by Miller, lobbies to better protect children in schools. She called the email responses disturbing. Of the 200+ emails sent, 35 emails went to principals in the San Francisco Unified School District. None could name the Title IX coordinator. "i have no idea what title nine is, sorry” and "I need to know who I am talking to before I send that information." Some other principals said they do not have a coordinator. NBC Bay Area presented some of the email responses to Gentle Blythe, a spokesperson for SFUSD. Principals in the Bay Area’s largest school district were confused about where to send a sexual harassment complaint. “If you had said, ‘who can I go to if I have a complaint about discrimination or sexual harassment at your school site,’ every principal should have said, ‘you can talk to me about a complaint about harassment or discrimination’ and if they didn’t say that I’d love to know their names so we can follow up with them,” Blythe said. However, the email did identify the Title IX coordinator as the person who handles sexual harassment complaints. "So you aren’t going to say one way or another if these responses are acceptable?" Investigative Reporter Jenna Susko asked. “We welcome our parents to come to us with any concerns about sexual harassment or discrimination,” Blythe said. She also said the Title IX coordinator for the district is Ruth Diep, but her name isn’t on any documents listing her as such, which is required by law. She also said principals can handle complaints at individual schools. However, only three principals responded to the email saying they handle complaints. “They know their responsibilities,” Blythe said. NBC Bay Area Investigative Unit found that no government agency is enforcing Title IX. The U.S. Department of Education does not keep a list of coordinators. A spokesperson told NBC Bay Area the position has high turnover, thus making it challenging for the office to attempt to keep an updated list. The Office of Civil Rights within the U.S. Department of Education in Washington D.C. told NBC Bay Area it responds to complaints filed, but does not systematically check if schools are compliant with Title IX. A spokesperson for the Office of Civil Rights said the office occasionally conducts proactive investigations, but it has not done any in the past four years. “I wasn’t aware of it and neither was anyone at our district leadership level,” Cheryl Jordan, Asst. Supt. of Human Resources at Milpitas Unified School District said. She already handled sexual harassment complaints but because of this investigation, she is now the official Title IX coordinator. She said the district is looking into additional training and will adjust its handbook to include information on Title IX. At Oakland Unified School District, the name of the Title IX coordinator is posted online and at individual schools. However, out of the 26 principals we emailed, only one knew the answer. SFUSD took a different stance on this investigation when asked if improvements should be made.